IPhone owners will love this featured article! Today’s list is about different iphone apps available for Apple iPhone and the good news is MOST of them are free to download. Your smartphone probably have built-in apps in it, but in case you want more excitement and fully utilize your gadget’s capabilities, you may visit the Apps Store and find the mobile app you want. 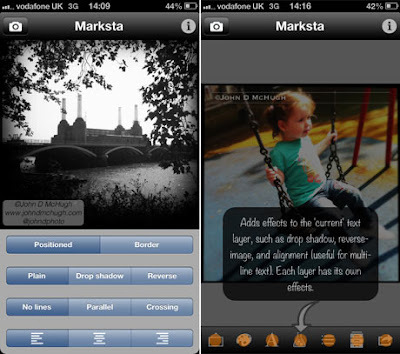 Apple together with third-party developers offers numerous iphone apps which have the highest quality. Now that the iPhone 5 has been released, its user will realize how powerful his device can be. With such bigger display and other technologies built in it, a user will experience its full capabilities. Previous apps are also optimized for the new iPhone’s display, so you can still play the favorite iphone apps you previously played. Check out the top ten list below for some information on the latest, hottest and best iphone apps available. Findables was developed by Findables, Inc.it is a smartphone case equipped with an app. What does the app do? With this app, users are allowed to share information, get connected with their online networking profiles and even recover the lost iPhone. How? Every smartphone case has a QR code embedded, this is very beneficial for the users because this QR code links the user to the mobile app. Simply by scanning the QR code to share your information, you may use it on business, social and in retrieving a lost iPhone. You may choose selected information you want to share and switch to lost mode whenever you lost your phone. This app includes a free QR reader. This is playing golf with a twist! Death golf, an app developed by Ayopa Games LLC is a revolutionized golf game wherein you have to combat different enemies and pass traps as you journey to the hole. 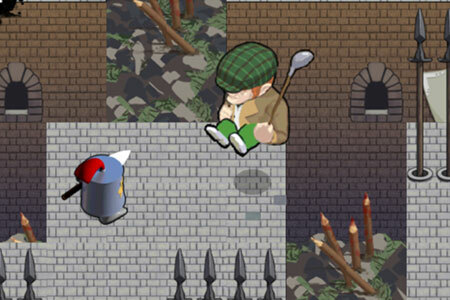 This game features more than 35 holes to play, you may also upgrade your golf gears so you can obtain golfing skills. Your golfer’s appearance can also be customized and you can track your progress with the use of game center leader boards. This app which was developed by Marksta Ltd. allows you to directly make a watermark on your photo, add text or logo by using your iPhone or iPad. With this, the image you want to share on different social networking sites such as Facebook, Twitter, Instagram, etc. will have copyright notice before it gets uploaded. Marksta has been featured in the British Journal of Photography, The Economist, Wired, , The Guardian, The Sunday Times and selected by ABC News as App of the Week. “Amazing Ants” is the number one iPad app in thirty (30) countries and the number one puzzle game in more than seventy (70) countries. The goal on this game is to help the ants to gather fruits, you may make them fly with the use of rocket sticks, make them float in soap bubbles and even making them bounce to obtain golden apples. 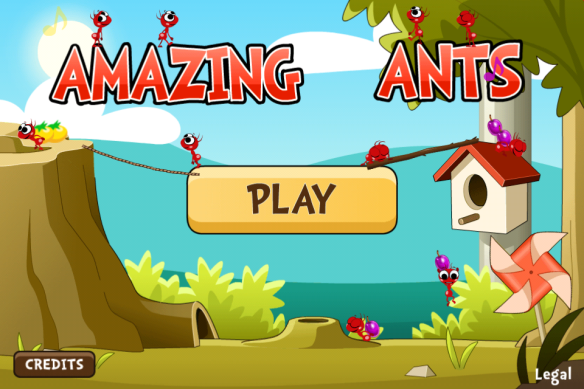 Amazing Ants challenges you to pass all 99 levels and other mini games and bonus stages. A user may buy costumes from the stores and give them to his ants and he may even challenge his friends on Game Center. This app was developed by Pocket Gems Publishing, LLC and you may download it for free. Zenonia is the number one role-playing game (RPG) in more than 25 countries. Its plot is about a post-war era where selfishness and corruption of rich people brought darkness in the kingdom. A hero must emerge to restore peace and harmony to the whole kingdom and save mankind from exploitation. A user may choose from four (4) classes of customizable heroes, these heroes should level up and be equipped with the skills needed before they encounter the mysteries of Deva Castle. This game developed by GAMEVIL USA, Inc. will surely make use of your intuition while having combat. 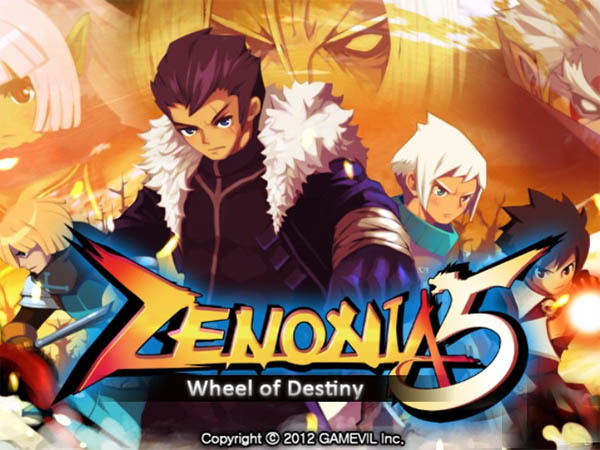 Explore Zenonia’s world and face challenges, experience RPG gameplay at its best. 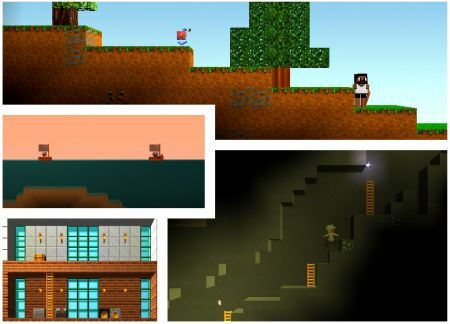 “The Blockheads” is designed for both iPhone and iPad by David Frampton. This app can be played alone, with another player or with online two player multiplayer. One cool feature of this app is the voice chat over Game center. On this game you have to control your blockhead as it explore over oceans, deserts and mountains. Be sure to give them all their needs, this way they will become more productive and happier. As your blockheads navigate on different places, you will discover precious stones and metals or even rare plants and animals. The current version has an average rating of 4.5 out of 5 stars based on 1,113 ratings given by different users. This cute little green monster likes candies and it is time for you to flick candies into its mouth. Om Nom: Candy Flick is about flicking candies (obviously), from different distances, upon successfully tossing treats you’ll earn achievements. 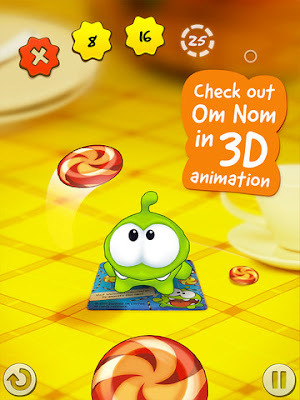 Be the best candy flicker and love Om Nom in 3D animation! This app which was developed by ZeptoLab UK Limited and is compatible with the iPhone 4 (could be a bit slow) but best with the iPhone 4S, iPhone 5, new iPads and iPods. 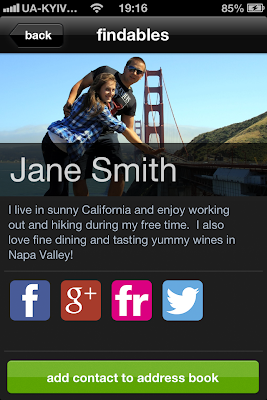 If you are a sports fanatic, then this app is best for you. BBC Sport app is under Media Applications Technologies Limited and this app is available for iOS versions 5.0 and above. This is a good guide to live sports news which includes results, stats and other sports related aspects a sports fan want to know. A user can select on the page of their favorite sport about some updates and major events. 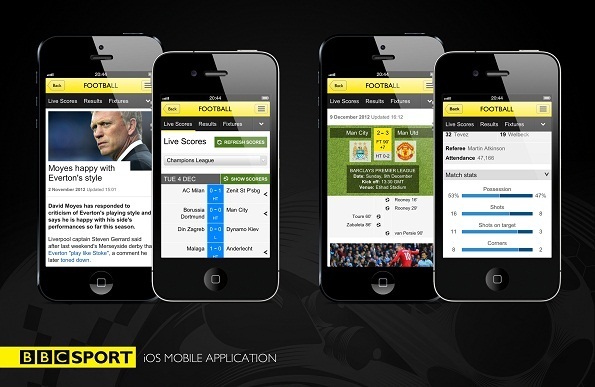 If you are a football fan, BBC app offers football scores, match stats, tables and even a full season’s football fixtures. Your device should be connected to a 3G or Wi-Fi connection to view the desired content. 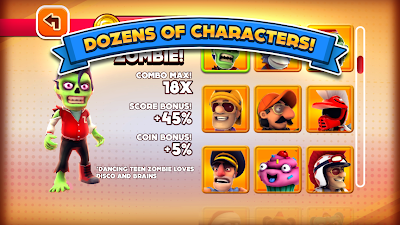 Be Joe Danger, the World’s Most Determined Stuntman and race to obtain the title of Master of Disaster. You have to pass different obstacles, dodge traps, jump over other vehicles and experience death defying race! Hello Games Ltd. developed Joe Danger and this app is now compatible with iPhone 3GS, iPhone 4, iPhone 4S, iPhone 5, iPod touch (3rd generation), iPod touch (4th generation), iPod touch (5th generation) and iPad. This multi-awarded game was perfected for iPhone 5 and iPad, these two have retina display making them the best match to see how impressive the visuals are.